Setting the stage for staging. Painting your house to sell is different than painting your house for the long term. For long term painting, you can incorporate your taste and style but for selling, you need to think of a broad range of tastes and styles. Remembering these two things when picking your paint colours can really help. Keep it simple. It’s a great idea to choose fewer colours and have the lighting change the tones for you. This creates a monochromatic look and keeps it feeling very open and spacious. You want buyers to envision themselves living in this home. By keeping it neutral it allows the house to appeal to more buyers. Sometimes intense colours can be off putting and therefore may limit the number of potential buyers. Here are some examples of colours that we recommend to get you started. As stated in a previous blog post, you want to make sure that you’re not just choosing your colours from a computer screen. 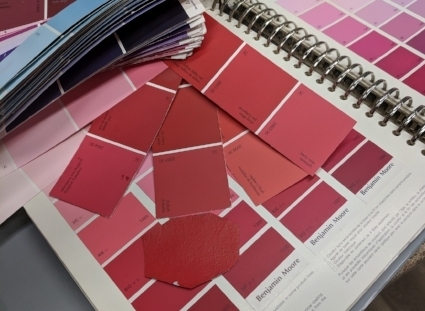 It’s a great idea to come into the store and look at the paint swatches. We would love to help you out. Choosing a new paint colour can be quite exciting! That is, until you walk up to the colour chip wall, and then it can become quite intimidating - especially if it's your first time. In this post we will cover the importance of purchasing a tester pot of paint and how to test colours effectively. Colour is an interesting thing. It can change quite dramatically in different lighting, at different scales, or with different surrounding colours. Colour can also look different on high contrast substrates and with different sheen levels. With so many options and variables, purchasing a tester pot of paint can be a real lifesaver. If you are having troubles selecting a colour, we always recommend that you bring in some inspirational pieces like fabrics or pillows to get a sense of what the overall pallet could be. This will help you narrow your search to a few choices. You can also consult with one of our colour specialists if you need more help and guidance. Once you have narrowed your selection and you purchase your tester pot, it’s time to paint! It sounds simple enough, but this can be even more confusing if you don’t consider a few key things first. If you start by priming the wall first, you create yourself a blank canvas. This is always a great idea especially if you are changing the colour drastically. Try not to leave a white border around the sampled colour. This can make it easy to mistake the value or intensity of a colour. Remember anything can look dark on a white background but it doesn’t mean that the colour is dark. It is always a good idea to paint the largest sample size possible. Certain undertones can be hard to discern in small scale but become more noticeable once scaled up. Colour is affected by what is around it and it can really change the way a colour looks. We recommend eliminating the unwanted colour as much as possible by making sure the new colour is touching an element that is staying in the room. A great place to test is by the baseboard, that way you can see the true way the colour reflects with the floor. Avoid testing paint in square patches directly in the center of the wall. It is common to see this demonstrated in magazines and on tv, but it makes it very difficult to see the true nature of the colour. Another tip we like to give if you are testing multiple colours is to test each colour on its own and far away from other colours being tested. Remembering that colour is affected by other colours, testing two or more colours next to each other will bring out undertones that won’t be there if the colour is on its own. If testing the paint directly onto the wall is not an option for you, we suggest painting a large bristle board or piece of drywall. It will give you the ability to move the colour around the room and check it in different lighting. By taking the time to fully test out your colour selections, it will save you time and heartache in the long run. Knowing what your colour will do before you commit to painting the entire project will keep you from the dreaded ‘Painting it and Hating it’ moment. If you have any questions, we are always here to help! Here are some basic samples of how colour is affected by contrast and colour. In each example, the center colours are the same colour. See how easily the eye can be tricked to think that they are different. "As many of you already know, wallpaper is becoming more and more popular by the day. The resurgence of wallpaper is partially due to two distinct factors: the amazing selection of exciting new products including murals, and the way that wallpaper is being utilized in a home. In years past entire rooms were wallpapered now, an approach of spicing up a room with an accent wall is more prevalent. This is equally true in powder rooms, although more often a whole powder room is done to add a little variety to the whole home approach. It is amazing how the introduction of one accent wall on a main floor layout, for example, can enhance the complete floor. Don’t underestimate the ‘Wow’ factor wallpaper can achieve. In my experience there are three types of wallpaper customer: those who can do it themselves, those who think they can, and those who shudder at the thought. The former group is simply wired to do it while the latter group is pragmatic and realistic. The middle group is the most curious. As a professional wallpaper hanger, I have been called several times by people within this group with a cry for help(!). They have seen a YouTube video or some other illogical source and attempted, with little practical understanding to do their own work. Truly, it is not as simple as it may seem in a video and, as wallpaper may be relatively inexpensive, you may consider it an investment in your home and want to be proud of it. Hence, the logic of hiring a professional. As you all know we are living in our most valuable investment: our homes. I can’t tell you how many times I have decorated for people with the intent of selling. In other words, decorating for others rather than ourselves. We should enjoy our homes as much as our families; be proud of our homes when entertaining. Take care of your investment, and your own happiness. We all work hard, and our homes should be our comfort, our oasis. Wallpaper can add so much to this sense of satisfaction. LOVE YOUR HOME! Wallpaper can be intimidating at first with the wide variety of selection these days, but Erin Mills Paint & Décor Centre is always available to help. If you have a picture from a magazine or website, they can find the right books or source similar papers. And, if you need help with ideas try to bring as much info as you can (pictures of the space, adjacent colours, a floor tile sample). The more info, the faster and easier the decision will be." David Ottenbrite has been installing residential wallpaper in Oakville and Mississauga for over 28 years. While working with several designers and decorators, he has come to appreciate how wallpaper can compliment and enhance a home. When a fabulous wallpaper meets the perfect space, magic can ensue, in a way that no other wall treatment can match. To prime, or not to prime, that is the question. “Do I need to prime?” is a question we get asked daily. We have all seen those TV ads that promise us that priming isn’t necessary and although this could be true, there are many, many reasons every project should be properly primed every time. 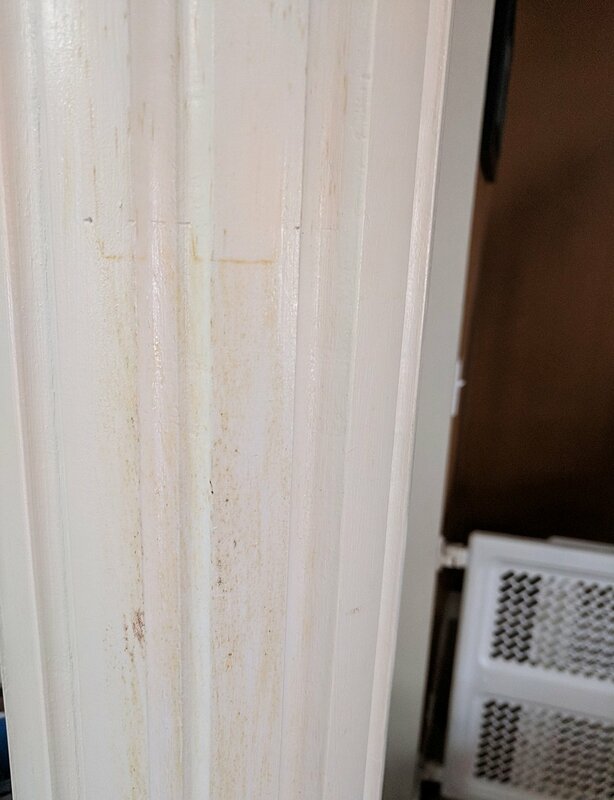 We hear clients say all the time “it’s too much work to prime” or “I’ll just do a third coat of paint” and although this may seem like a good time saver, it could end up being a lot more work, cost a lot more money, and cost you a lot more time than imagined especially if something goes wrong. Here’s the thing: primer is different than paint. A primer’s job is to seal and prepare the substrate and provide a sticky surface for the paint to bond to. Primer also contains more binders than paint and will sink into the surface differently. It can also cover stains, block unwanted odours, and even allow you to paint difficult substrates like PVC, tile, aluminum and more. A saying we like to say is it never hurts to prime, but it could hurt if you don’t. If you don’t prime to prepare your surface, you risk having to deal with problems that could occur like peeling, stain bleeding, blistering, cracking, flaking, or flashing which is quite common if primer application is skipped. What can also occur is loss of coverage per square foot. 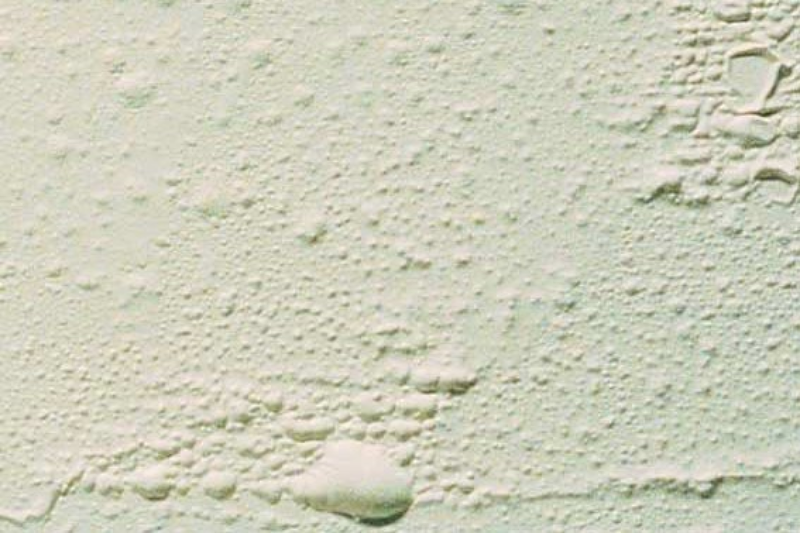 When the substrate is porous it acts like a sponge absorbing the paint, and this can be very problematic if you are trying to calculate the amount of paint you will need for the project. It may not be so problematic if it’s just one average sized room, but when it is your whole house you could be looking at using much more paint than expected. This makes it difficult to calculate properly, and will have you making many trips back to the paint store. Another question we get daily is “Do you have paint with primer in it?” Our answer is always yes but the primer in all paint is just for opacity and colour coverage. It makes the paint thicker so that it will coat better, but it will not replace the use of a separate primer. Paint-and-primer products can be used without primer if you are painting walls in great condition - walls that were painted in the last couple of years, with no patchwork or repairs, and the colour change is not extreme. Remember that “paint and primer in one” products are not miracle workers. The prep you put into your project is the key factor in what you get out of your project. Still have questions? Don’t hesitate to ask us at Erin Mills Paint and Décor. We would love to help you out. A lot of us have been here before. Whether you are just trying to do touch ups, or you forgot what colour you painted, chances are you’ve wondered if there is a way to match a paint colour. At Erin Mills Paint & Décor Centre we pride ourselves on the ability to match with success just about any colour you bring to us. All we need is a sample of what you would like matched. The most ideal sample would be a clean paint chip the size of a toonie, with little to no sheen, no texture, not metallic, and with a solid coat of paint. Always remember, the better the sample, the better the match. The most ideal paint sample is the size of a toonie. Once you bring us the sample, we can begin with a few different methods. We can check manually to see if your colour matches any of our colours from our full colour library, we can scan the colour using a spectrophotometer, or we can have a senior colour match specialist create a custom match. Some colours might require using all these methods to achieve a match. Looking through the colour library. A spectrophotometer is a device that's hooked up to a computer and measures color electronically. There's a port on one end that shines a light on a paint chip sample and then takes a very detailed reading of each wavelengths of light reflected off the sample. From that reading the program creates a formula by calculating the exact amount of tint needed to achieve a colour match. Most of the time this works well and is a real time saver, however, sometimes a colour needs to be adjusted after the reading and that’s where a colour match specialist is a big help. The specialist will see whether that colour needs to be darkened or lightened, needs to be redder or more yellow, for example, and they will make the appropriate adjustments. Sometimes people bring in photographs and magazine pages as their sample and although this may be a good place to start, it won’t produce a good match. Photographs and computer screens cannot display the same number of colours as the human eye can see so the colours will never be precise. Pictured is a page from a magazine with the exact colour chip placed on top to show how much they differ. Just as I said before, the better the sample, the better the match, but it takes time to achieve a great match. Often, I’m asked to make sure the colour match is “perfect” and then I’m given a 10-minute timeline. I of course would love to be able to guarantee every match “perfect” in 10 minutes or less but this just isn’t the case for every colour. This is our finished result. There is a spot dried down in the middle of the sample. 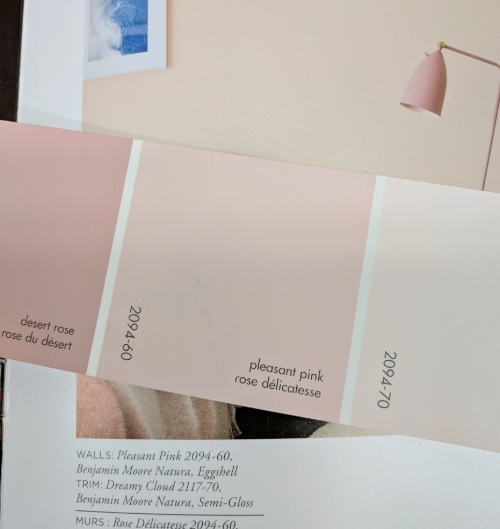 So whether you are looking to touch up a room that’s had some wear and tear, or match an unknown paint colour you’ve fallen in love with, drop by Erin Mills Paint & Décor Centre with your sample and watch our colour experts work their magic. Interior surfaces are quite often re-coated with “same on same”, i.e. where the new coating system specified is a replacement of the same type of coating. The type and the condition of the coating that currently exists on the surface to be repainted is determined by the specifier or painting contractor. Where a change in the type of coating system is desired or required, special attention must be made to assure that the new system is not only appropriate for the use, but also is compatible. Problem - the binders used in the two coatings are not compatible, which can lead to poor adhesion in the dry film. Problem - the previous coating is incompatible to the solvents in the second coating, which can cause lifting, bleeding, etc. Solution- a “barrier coat", which is compatible with both coatings, does not contain solvent to affect the original coating and is resistant to the solvents in the new coating, is used. Repainting must take into consideration the gloss as well as the age of the previous coating. A “same on same” application where the previous coating is glossy, must be prepared properly or a failure can result. A glossy surface does not allow penetration of the new coating, affecting adhesion and subsequently leading to peeling, flaking and cracking. Most coatings that cure by chemical reaction can continue to harden and become difficult for another coating to adhere to (even if the new coating is a similar and compatible product). It is important to consider the minimum and maximum re-coat time (i.e. the re-coat window) for any coating system. With some coatings, this can be as short as one to two weeks, or as long as six months to a year. During the window, normal preparation can be used. After the window, even extraordinary preparation may not be enough and a tie coat may be necessary. In both of these cases (i.e. glossy surface or outside 'the re-coat window'), surface preparation is critical. Abrading the surface creates an “anchor” pattern. This increases surface area and provides mechanical adhesion to the surface. As a general rule with a colour change, budget grade paint systems may not provide adequate hiding. Premium grade paint systems should be specified. Also, with semi-transparent stain, it is virtually impossible to change to a lighter colour without removing the entire previous system. Two actions, which should be considered part of the normal procedure in ensuring a surface is suitable for repainting, are the appropriate testing of the surface to be repainted and the application of a test patch. High-Performance Architectural Latex offers substantially better performance than Conventional Latex products in the areas of washability, burnish resistance, and ease of cleaning. The mar resistance of High-Performance Architectural Latex is better than W.B. 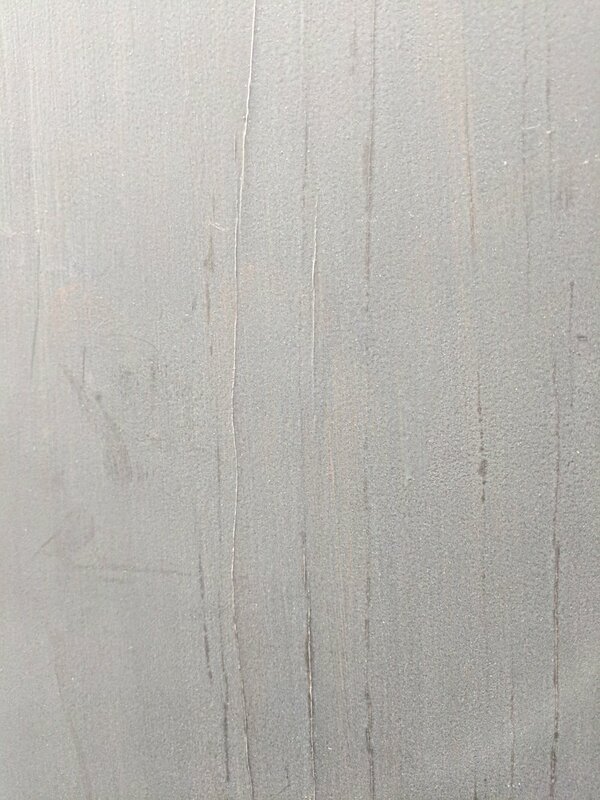 Light Industrial Coating. W.B. Light Industrial Coating provides better chemical resistance than Conventional Latex or High-Performance Architectural Latex, and almost equal performance to Alkyd in some circumstances. Alkyds have less alkali resistance than Latex. Epoxy and Polyurethane coatings provide the highest level of chemical and abrasion resistance. They are much superior to both Latex and Alkyd coatings. There are many different painting tips out there. Probably too many to list. We're going to share two that we think are most important before you start any painting job. One of the most important things you can do before starting a DIY painting project is to know what you’re dealing with. You need to find out if the dresser you are about to refinish is oil based paint or latex based paint. It is very important to know if you have oil based paint on the surface you are going to repaint, especially if you are using a latex based product as your top coat, because if you put latex on top of oil, the top coat will come off like butter. A quick way to test if your paint is oil based paint or latex based paint is to rub a cotton ball that has been soaked in nail polish remover with acetone in it, or pure acetone, on the surface. If the paint comes off, it’s latex based paint. If it doesn’t, it’s oil based paint. 2. How much paint will you need? The easiest way to figure out how much paint you will need is to measure the square footage. If you are painting a wall, measure the width and the height of all the surfaces you will be painting. If you are painting a piece of furniture, measure the depth and length of the surfaces. Add them together for the square footage. For 1 dresser, chances are you’ll only need 1 quart of paint. For a 10x10 bedroom, you’ll need a gallon. What other tips do you wish you knew before you started a DIY painting project?